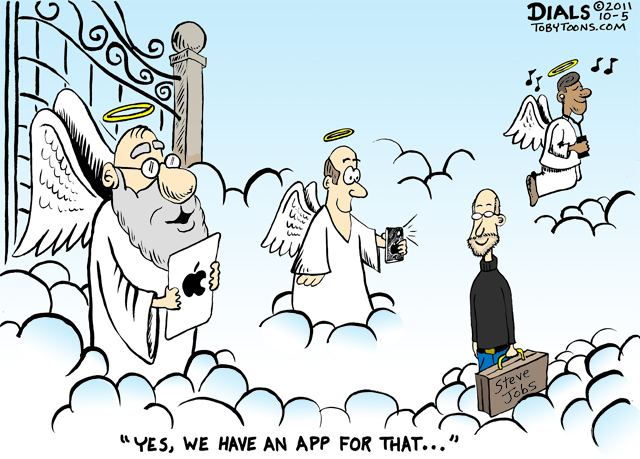 The funeral of Steve Jobs reportedly took place Friday, and it was said to be a small, private gathering. While this doesn’t seem to be the right time for a “comic,” we thought this poignant illustration, entitled “R.I.P. Steve Jobs (2/24/1955 – 10/5/2011),” was appropriate for the occasion. By the way, this artwork was created the day Jobs died, before The New Yorker magazine cover debuted using a similar theme.